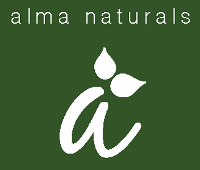 We offer a selection of fantastic retail products designed to support natural beauty and health at home - and they make great gifts. Our selection is always being updated so stop in today to check it out. Our gift cards make the perfect gift for any occasion - birthdays, holidays, wedding/baby showers. Buy one online for immediate email delivery or pick one up at the store. 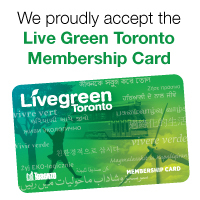 Also, drop off your used gift cards at our store and we'll recycle them for you through our gift card recycling program - we take gift cards from any vendor. ​Zoya Nail Polish has been awarded as the longest wearing natural nail polish by an independent panel in Women’s Health Magazine. 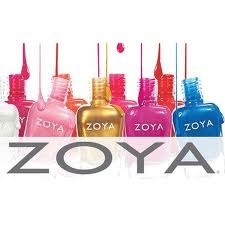 Zoya Nail Polish is "5-free" - a nail polish free of toluene, formaldehyde, DBP (phthalates), formaldehyde releasing resins, and camphor. ​Acquarella is a water-based nail polish making it non-toxic and the safest nail polish on the market. There are no harsh chemicals - and of course no DBP, toluene, or formaldehyde. It is 80% water and the water actually soaks in to hydrate your nails plus there is no chemical odor! The best part? It looks great & they have a great selection of colors. ​Seaflora is hand-harvested from the cold clean Canadian Pacific Ocean, Seaflora Skincare are the most nourishing, authentic and effective thalassotherapy products available today. 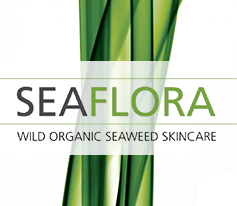 The wild seaweeds and ocean mud are certified organic demonstrating the commitment to sustainable harvesting and skincare manufacturing. Love the body butter in our services? Take one home! We sell them in large and travel sizes. Perfect to keep your feet smooth in-between pedicures. Body brushes are fantastic to improve circulation, toxin elimination, and removal of dead skin cells. Some people swear by body brushing to keep cellulite at bay. Faerhaven soaps are made with fewer, simpler and natural ingredients such as natural oils, colours and fragrances of the natural world. They contain no phosphates or sulfates. Made in a time-honored fashion, the natural soap making process involves involves a simple chemical reaction between oils and lye (sodium hydroxide for bars). All soap is made with lye, but the finished product does not contain any lye. The lye/fat mixture is converted to glycerin through a chemical reactions. Glycerin is a natural by-product, which results in an excellent cleanser with luxurious lather, which does not strip your skin of it's natural oils. Purely Great is a long lasting 100% natural and vegan friendly deodorant! Aluminium, parabens and triclosan free. ​Pure Anada cosmetics are lovingly formulated and handcrafted in the beautiful Canadian prairies. They carefully select the ingredients used in their products to ensure they are organically grown, ethically harvested, and honestly produced. Puranada believes in tapping into the beauty of nature to achieve incredible results that are not only beneficial to your skin, but free from toxins that can compromise your health. We carry a selection of their products such as brow powder, mascara, eye liner, lip gloss and make up remover.